I touched on it in a recent post but I’ve decided to swap out my old monthly feature “Samples Of The Month” for the new and improved “Mini’s Of The Month”. The reason for this is that I feel like with testing any miniatures I can get my hands on, I can get a more accurate response from using them a few times than I can from a teeny one use sample. I also have quite a few miniatures from my M&S Beauty Advent Calendar that I need some motivation to use so these will be featured in upcoming months. Here are my picks for this month and my thoughts on them! The packaging on this is absolutely gorgeous and looks very high end and professional to me. My first impression of this is that it aims to do a similar job to the Pixi Glow Tonic which I still unfortunately haven’t got my hands on. It’s designed to be a mild exfoliant and aims to reduce the roughness of skin aswell as soothe and hydrate. It also advises that you don’t apply a night cream afterwards which I thought was quite odd, so I decided to use it as a last step in my skincare routine because of this! The directions are to moisten a cotton pad with the solution and then wipe over the face. On application I found it stung my face but assumed that was normal for a product thats meant to resurface the skin. At first I felt it wasn’t quite enough hydration for my skin and that it left it feeling a little tacky but after around 5 minutes it sunk in beautifully and left my skin feeling really plump and quite soft! After using this a few times before bed, I can definitely say I’m a big fan. My skin feels cleaner and softer and really surprisingly hydrated. I’m not sure if this is technically a miniature but I received it in my advent calendar so I’m going to include it anyway. It’s a shimmery peptide-infused lip plumper with a cooling sensation to it. 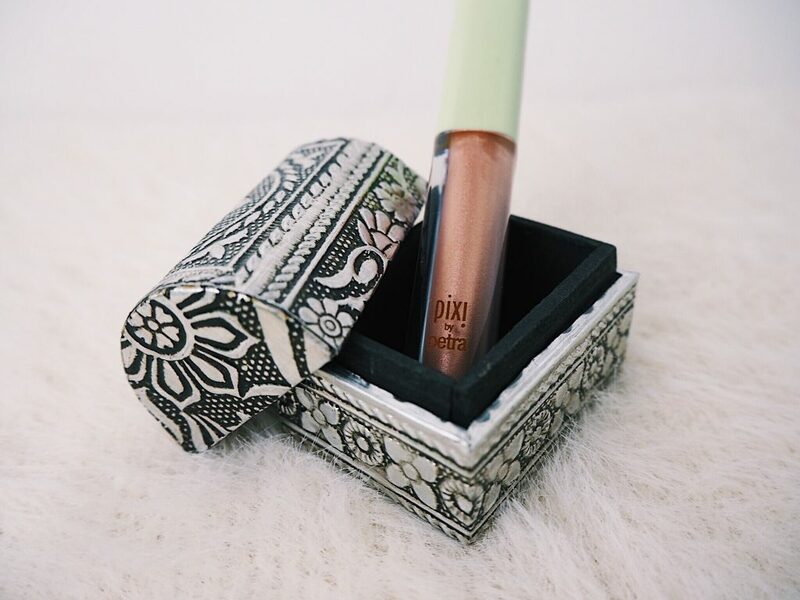 I wasn’t so sure about it at first as glosses really aren’t my thing and I don’t know if I believe a product like this can really plump your lips. It contains Aloe, Jojoba and Chamomile though which are fab moisturising and soothing ingredients and the mint is a natural plumper which is the flavour of it. I’ve got to say I really didn’t feel like this product did anything for me other than smell really lovely and give my lips a coat of gloss. I didn’t notice any of the glitter from it on my lips either which is a shame. It has a menthol tinge to it and makes your lips tingle ever so slightly. Other than that I can’t say I noticed any difference in the appearance of my lips unfortunately. 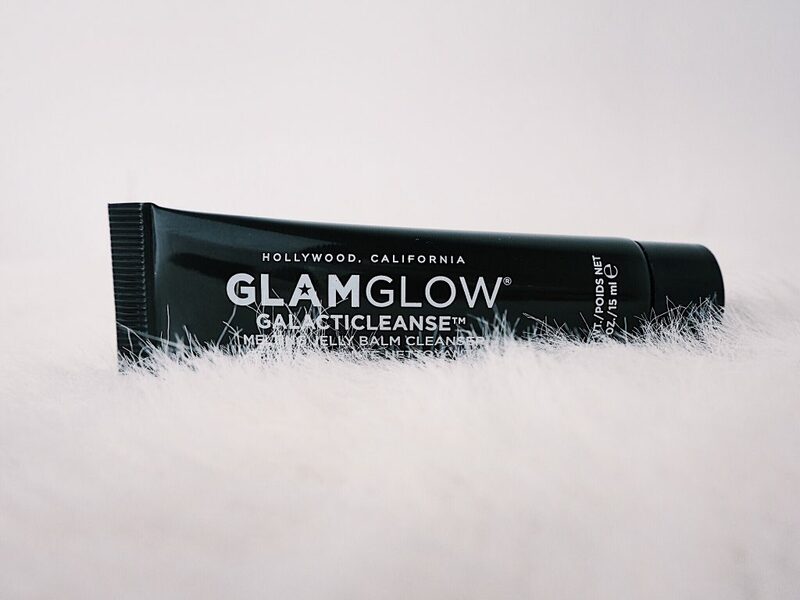 A recent post I did this month was on Glamglows Supermud mask that you can read here but I also received a miniature of their recently released Galacticleanse which I thought looked pretty awesome. It’s a jelly-to-milk cleanser, much like the famous Glossiers Milk Jelly Cleanser but with a bit of a cooler spin on it. This product contains moonflower oil, meteorite mineral powder and bamboo charcoal. In all honesty I’ve never heard of these before so I’ve no idea what they do for your skin but they sound pretty cool, don’t they? When I squeezed the gel out of the tube it was BLACK and GLITTERY. My two favourite things mixed together, which is pretty damn delightful. If that wasn’t cool enough, it smells like white chocolate orange which if you followed me on Twitter over Christmas, you’ll know is something I’m very passionate about. I’m extremely sad it no longer exists (damn you, Terry’s). Following the directions, I massaged it into dry skin in circular motions and then used some warm water. This supposedly turned the product into more of a milky substance but I can’t say the consistency really changed that much. 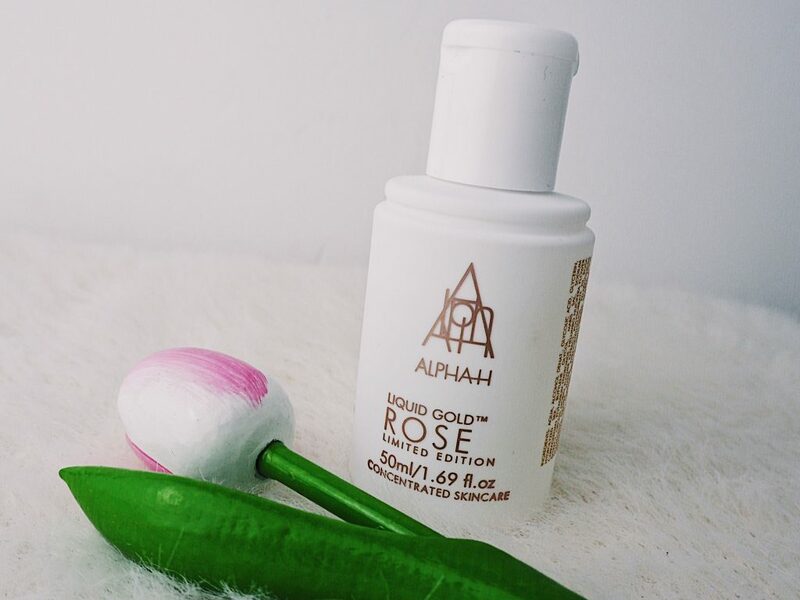 I used a warm, damp cloth to wipe the cleanser and makeup away, I thought it did a pretty good job and my skin felt really clean and firm. I did then use some cleansing water afterwards to see how well it worked. On finding it left some residue of makeup behind, I’d have to recommend double cleansing with this product. I really did like using it but I’d say it’s not one for those who like a simple and small skincare routine. Have you tried any of these products? What’s the best sample of a product you’ve ever received? "The Lush Love Boat Bath Bomb!" "Barry M Bargains: My First Ever Purchase!" I love the sound of the liquid glow! Might have to give that a little try – also wish I’d known a while ago that you love Terry’s white chocolate orange as I threw one out that I’d had in the cupboard for ages haha! Great post and looking forward to next month’s mini’s! I have not heard of that GlamGlow product. It sounds interesting. Amazing blog post~ Love your make up essentials. Thanks for sharing! I love GlamGlow products! A bit pricey but worth it! I want to try any Pixi product as they all sound incredible! I’m not a massive lip gloss fan but recently I’ve been falling out of love with the matte products so maybe it’s time to give some glosses a go. You’ve picked out two of my need to try products!! 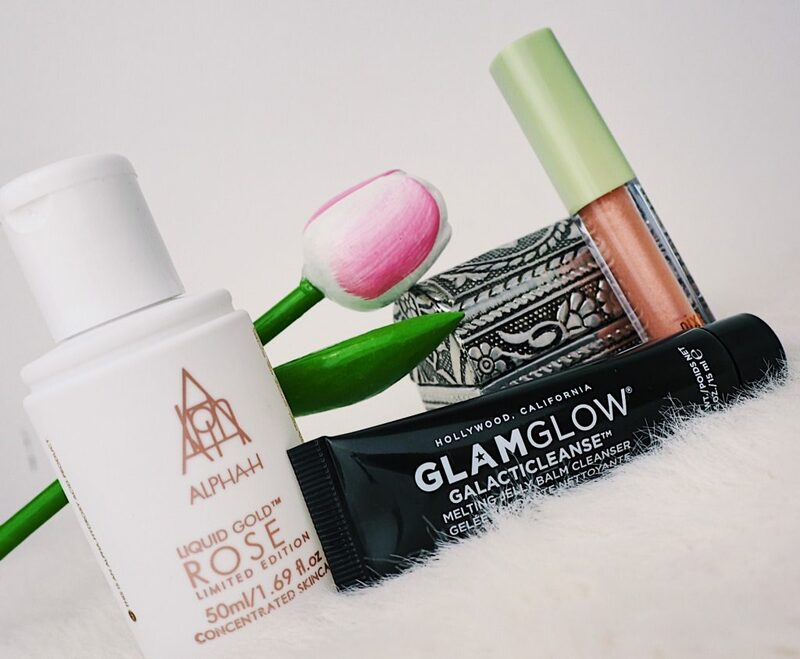 The lip gloss looks incredible and I really want to try the glam glow! I still haven’t tried any PIXI products! Grabbing minis is such a good idea to help you get a feel for it before splurging! I definitely agree that minis are better than samples, there never seems to be enough in a sample. 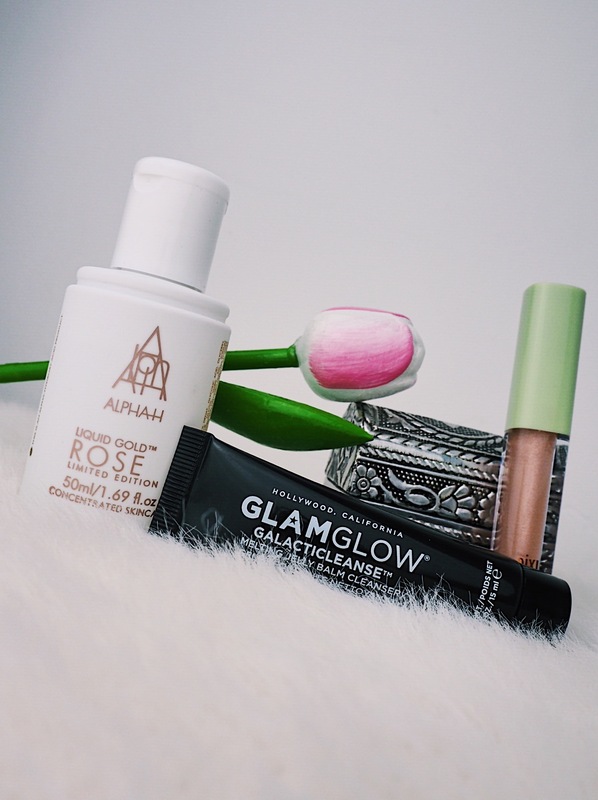 Minis you’re able to use for a little longer, I love the packaging for Alphah Liquid Gold. I haven’t used a product like that before so I’m not 100% sure of it myself. Also when was there a White Chocolate Terry’s!! That would be my favourite combination.